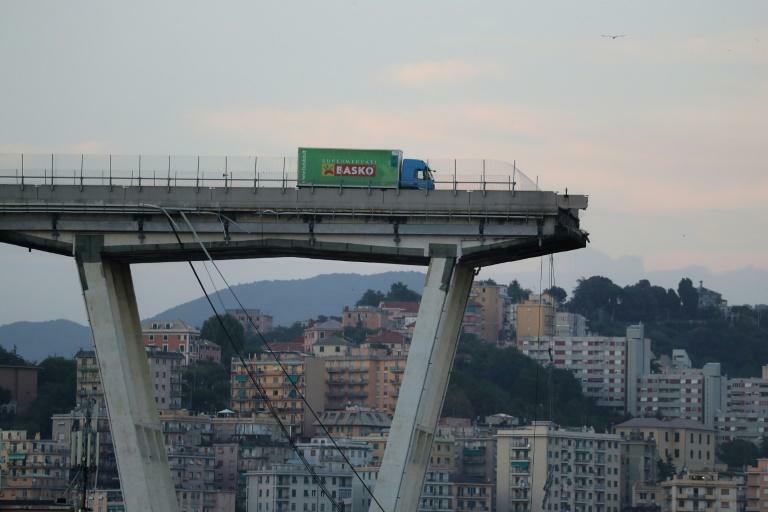 In the aftermath of last week's disastrous collapse of the Morandi Bridge in Genoa, Italy's populist government has been riding a wave of public anger -- in a move which could backfire. Although Prime Minister Giuseppe Conte was first on the scene hours after the disaster, his two deputies, Matteo Salvini of the far-right League and Luigi Di Maio of the populist Five Star Movement, have taken centre stage in the government's response. And during their many appearances -- at impromptu press conferences by the rubble, outside hospitals, on the radio, on Facebook lives around the clock -- the pair have vied to outdo each other in their response. One demanded the cancellation of motorway operator Autostrade per l'Italia's contract for the stretch of road through the northern city of Genoa, while the other said all its concessions should be taken away. One urged resignations at the top of the company, the other said they should be jailed. In response to an offer of 500 million euros ($580 million) from Autostrade to help rebuild the bridge, Di Maio said the government "does not accept handouts from Autostrade". "We insist on proper compensation and there will be no haggling," he added in a Facebook post at the weekend. "There's no desire for revenge in Genoa but there is a need for JUSTICE," read one of many tweets posted on Salvini's account on Monday during a TV interview. A particular target of the two men's ire has been the Benetton family, who control 30 percent of the Atlantia infrastructure group, which in turn owns Autostrade per l'Italia. The family are one of the country's most prominent business success stories but for Di Maio and Salvini they represent an elite which is indifferent to the lives of the ordinary Italians that the pair claim to represent. In addition, Di Maio and Salvini have claimed that the Benetton family has made several political donations, in particular to former premier Matteo Renzi of the centre-left Democratic Party (PD) -- a charge Renzi firmly denies. In an unusual reversal of roles after a crisis, it is the opposition that has been calling for unity and calm. Former prime minister Silvio Berlusconi, who has now been eclipsed by Salvini as the main figure on the right, said all arguments "should be put to one side". And Renzi has also sought to calm the debate. "In the face of such a tragedy, a civilised nation should come together instead of dividing itself," he said, while insisting that those responsible "should pay every last cent". But he also had a word of warning for those in power. "Governing is more complicated than writing a Facebook post: if the concession is cancelled, paradoxically it's a gift for Autostrade, because of the amount of money you would have to pay" to cancel the contract. Transport Minister Danilo Toninelli has said nationalisation of Italy's highways would still be "worthwhile" given the revenue the state would accrue in toll payments. 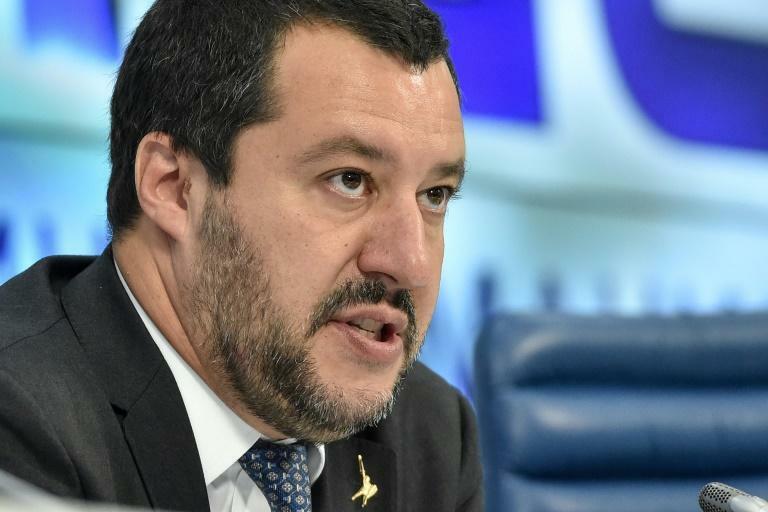 Despite the grandstanding, the government's position isn't entirely clear: the move to cancel Autostrade's concessions is absent from the minutes of the ministerial meeting where the decision was apparently taken, and the infrastructure ministry has remained cautious in public statements on the issue. Di Maio remains defiant, however, saying anyone seeking to oppose the cancellation of Autostrade's concessions "will have to go over my dead body". But stoking outrage over the tragedy may not be without risks for the pair. When Salvini said Autostrade should have suspended tolls immediately after the disaster, images emerged of him at a celebratory League dinner in Sicily as the firefighters and policemen who answer to his ministry were already searching the rubble. And as he and Di Maio bemoan the state of Italy's infrastructure, the opposition points them to the League's time in office as part of Berlusconi's regimes and how M5S regularly opposed big planning projects as a waste of public money to the benefit of big business. In 2013, in a now infamous entry on the blog hosted by M5S founder Beppe Grillo, activists against the construction of a new motorway around Genoa called the idea of the Morandi bridge collapsing a "fairytale".